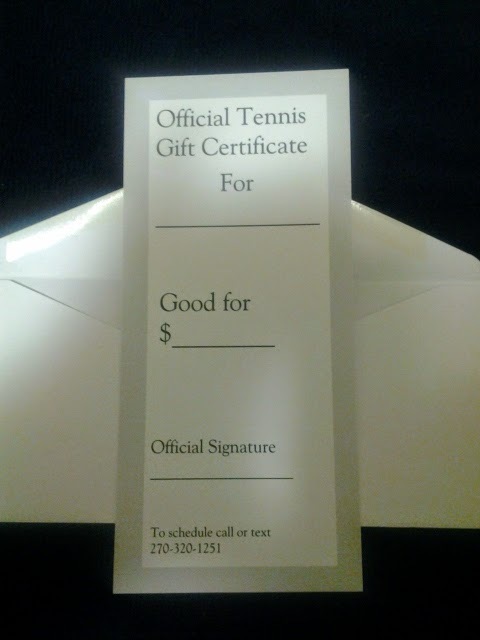 Some of you may already make gift certificates available for anyone to purchase your services and perhaps some tennis or health products you handle as well. Many of you may not. In either case, this is a wonderful way to make the gift giving process easier, more attractive and more fun for both the giver and recipient. Typically, producing or having gift certificates made is not terribly expensive and the return on investment is pretty good unless you go to your local printer and have a thousand made. 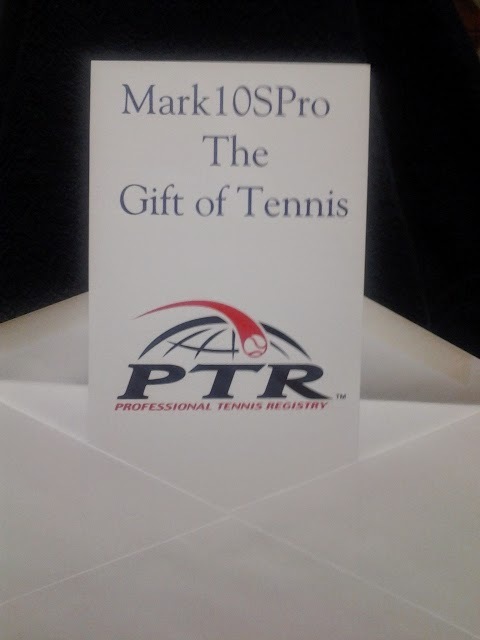 Mark10SPro, one of our web site customers, recently announced the availability of gift certificates on his web site via a post he created. Notice he asked some great teaser/discovery questions in his announcement. These aren't too difficult to make using a computer and some basic software, but you do want to pay attention to detail and spacing. Keep it simple or get extravagant. We use Photoshop for ours, as well as for other things, but this would be one expensive piece of software simply for making gift certificates, unless you already have it. Power Point and Word can also be used, but we aren't giving instruction here as there are way too many scenarios. To find how to produce your own simply type diy gift certificates in your favorite search engine. You will either find instruction on how to do so or services that will actually help you produce them on-line, some for free. If you definitely wish to find services which produce them for you, then type in just gift certificates as well as the name of the area in which you live if you wish to deal with someone locally. However, if you do so you will want to print or have the certificates printed on a weightier paper, at least card stock thickness, perhaps glossy. Also, don't try to cut your certificates to the desired size using scissors. Most mail or office stores have the tools to do it right. Our local FedEx Kinkos allows us to come in and use their cutter at no cost. If you have a web site from 3rdToad.com Tennis and you want to learn how to sell your services on-line, including products and gift certificates, then please go to Buy Buttons and Gift Certificates. Begin using gift certificates year round, let others know they are available via your web site, e-mail or however, and increase your revenue while possibly gaining some new students and more appointments.